It’s the most wonderful (and expensive) time of the year! Shopping season is upon us- and if you blink you could miss it… With the spending of gift-giving comes the stress. How can I afford the gifts that I really want to get for my loved ones? How can I stay on budget in all areas of my life? The world doesn’t stop turning just because Santa is coming to town! 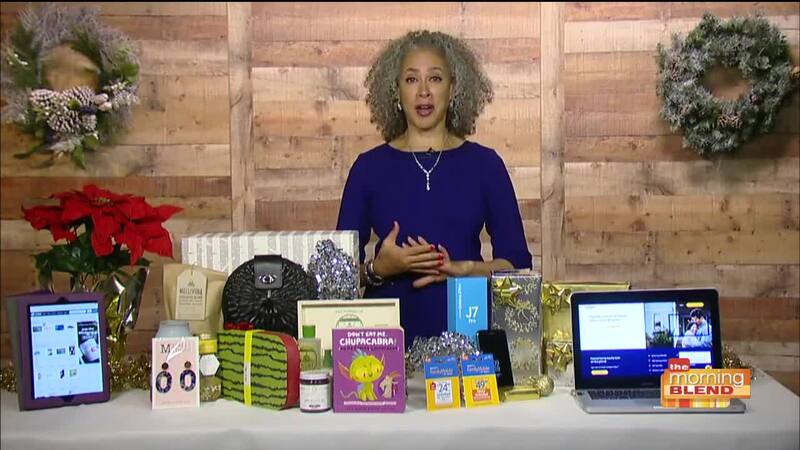 Don’t get your tinsel in a tangle - Trae Bodge is here with shopping and saving tips to help you budget, buy, and blow your family and friends away with your gift-giving prowess. Trae will share: • Out-of-the-box gift ideas • Shopping for the impossible people • Ways to save money you never thought of • Stretching your budget in all holiday spending areas • And more! Trae Bodge is an accomplished and relatable lifestyle journalist and TV commentator who specializes in smart shopping, personal finance, parenting and retail. She has appeared on dozens of TV shows, including Rachael Ray, MSNBC, the Harry Show, Inside Edition, CNBC and network affiliates nationwide. Her work has also appeared in/on USAToday.com, First for Women, Time.com, Woman’s World, Marketwatch, MSN Money and Yahoo Finance. It’s the most wonderful (and expensive) time of the year! Shopping season is upon us- and if you blink you could miss it… With the spending of gift-giving comes the stress. How can I afford the gifts that I really want to get for my loved ones? How can I stay on budget in all areas of my life? The world doesn’t stop turning just because Santa is coming to town! Don’t get your tinsel in a tangle - Trae Bodge is here with shopping and saving tips to help you budget, buy, and blow your family and friends away with your gift-giving prowess. Trae Bodge is an accomplished and relatable lifestyle journalist and TV commentator who specializes in smart shopping, personal finance, parenting and retail. She has appeared on dozens of TV shows, including Rachael Ray, MSNBC, the Harry Show, Inside Edition, CNBC and network affiliates nationwide. Her work has also appeared in/on USAToday.com, First for Women, Time.com, Woman’s World, Marketwatch, MSN Money and Yahoo Finance.